After receiving a sponsor package from Instructables, with the request to make something nice, I couldn’t really refuse. 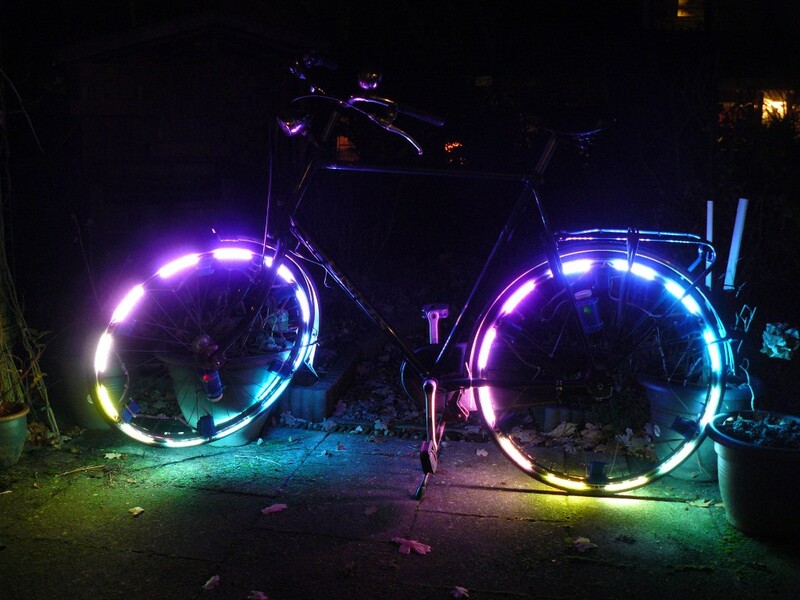 I came up with a project loosely based on the Revolights that uses RGB leds instead of normal leds. This way, you can have cooler animations on your wheel than when you would have just one color. The rim lights have the big advantage that they stand out way more than normal bicycle lighting, something that is always helpful as a cyclist. Rim lights are, as the name suggests, a set of lights (leds) mounted on the rim, facing outward. 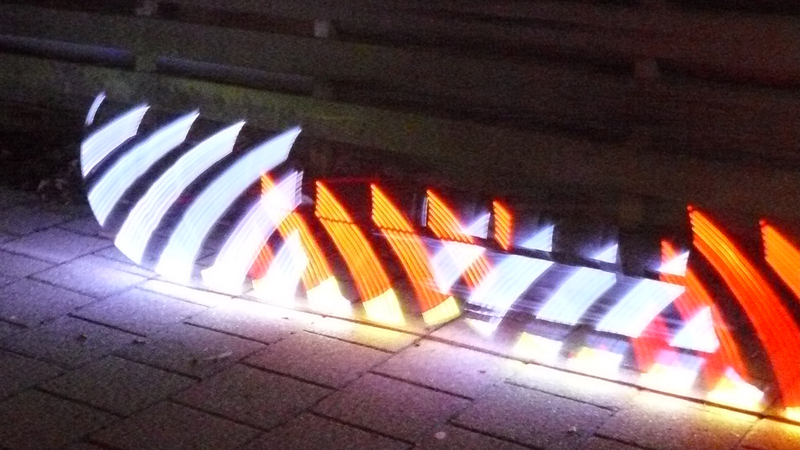 The leds are controlled by a microcontroller that determines what leds need to be on at what time to create the illusion that they are not moving. This means that the controller will light up the leds backwards as fast as the wheel is spinning forward. To determine the speed of the wheel, the controller uses a hall effect (magnetic field) sensor to measure a magnet mounted on the frame of the bicycle. It looks at the time between sensing the magnet to determine the speed. RGB leds have the added benefit that they can be made any color possible. By turning on specific groups of leds, the colors yellow, cyan, magenta and white (and any color in between) can be created. This effect is used by the rim lights to create the white, yellow and red colors when the wheel is spinning, and the full rainbow (plus pink) when the wheel is in idle mode. 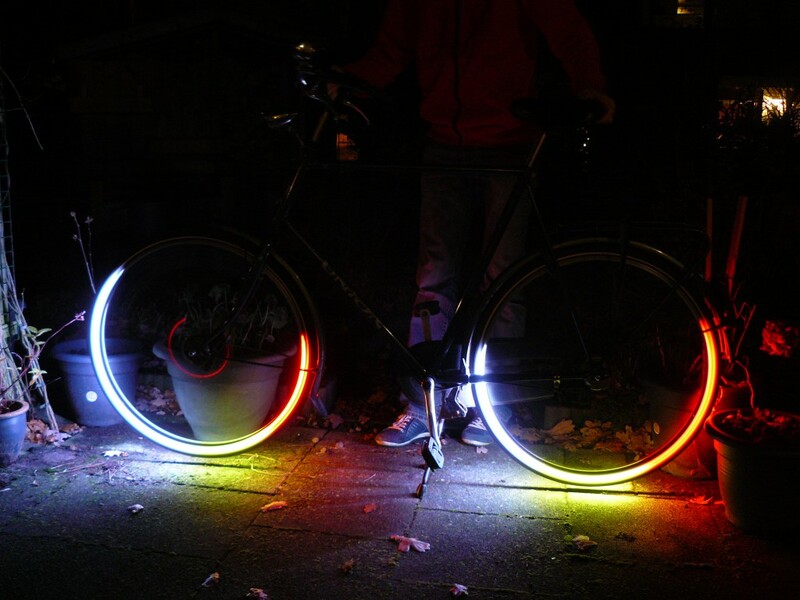 Rim lights make any cyclist infinitely more visible in the dark nights (especially during winter). Also, they look awesome on any bike and are sure to turn some heads. If you want to make one yourself, download the files above and click this link to go to the Instructables page. There are plenty of pictures, full explanations of how it works, and a nice explanation of the firmware. Your projects are very inspirational and make me want to learn and build more. I hope you keep doing what you are doing!